activities such as advertising, sales promotions, public relations, direct marketing and personal selling. Your promotional strategy should be a part of your marketing plan as a way of expanding your customer base and building awareness of your business, its products and services. A key element of marketing is advertising. DLM Marketing can help market your business through a variety of advertising means, including mail, email, developing your own website, online advertising, newspapers, magazines, television, radio or the phone book. Effective strategic advertising strategies will help you establish or position your brand, and market your products or services to your target customers. Successful, advertising has the ability to reach a large audience and can attract a large number of sales. When advertising it’s important to avoid being prosecuted that you ensure all your information is always accurate and truthful. 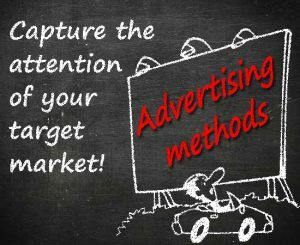 DLM Marketing can help you decide how you will advertise your business, it is important to analyse which advertising medium will best suit your customer base. Sales promotions can include vouchers, free products with a purchase, free samples, rebates, contests and trade shows. These activities are typically short-term and are designed to increase sales quickly or give your potential customers a ‘taste’ for your product or service. While they can be an effective way to attract customers, sales promotions should not be overused. If you wish to attract repeat or loyal customers you will need to establish a more strategic approach. Public relations (PR) are about trying to create a positive image for your business. PR activities can include advertorials, sponsorships, events, product placements and press coverage. Using public relations effectively takes skill and innovative ideas to grab peoples’ attention. However, if done right it can generate a lot of publicity for your business. One of the most useful skills to learn is how to write an effective media release. 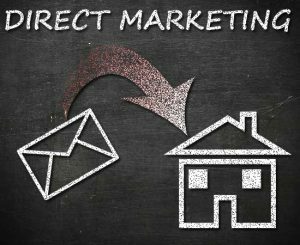 Direct marketing can include telemarketing, mail and email campaigns, catalogs, e-commerce, brochures, flyers, posters, spruiking and text messaging. This form of marketing is often cost-effective and gives you the ability to collect data on markets and customer buying behaviour. However, when conducting direct marketing activities you need to ensure that you comply with all federal and local regulations. The popularity of online marketing is due to its low costs, interactive nature of communications and the potential for a wide audience. While it has many benefits, like anything, online marketing can have its drawbacks. Online tools can be used to conduct all types of promotions. Personal selling is where a sales person communicates directly with a customer for the purposes of convincing them to purchase a product or service. This includes door-to-door, telephone, and internet sales, but is also used in particular industries such as vehicle and property sales. This method has the benefit of building a relationship with a customer which can potentially lead to repeat sales. Due to the need for one-on-one contact, sales can be quite slow and is more suited to more expensive products such as houses. If you would like advise or help with your marketing campaigns please don’t hesitate to contact DLM Marketing.